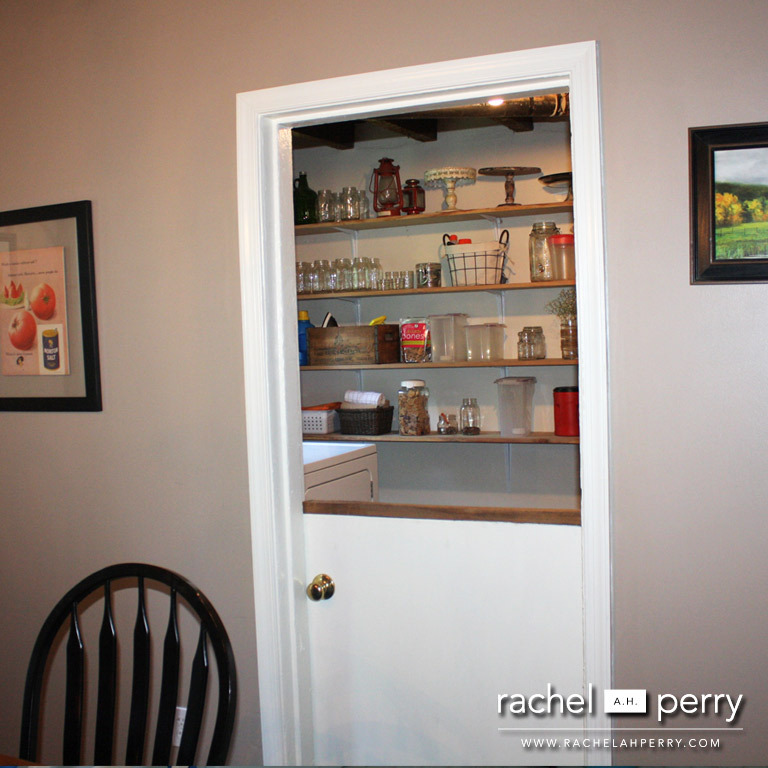 After the kitchen was complete, I was ready to tackle more projects on my list. 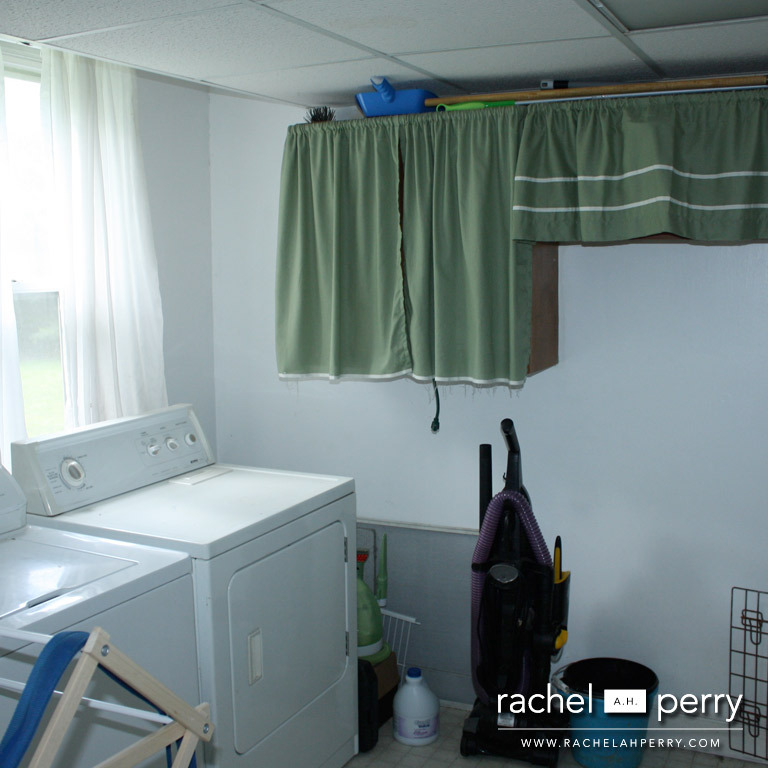 The laundry room was one of my least favorite rooms because it was just not functional. See for yourself in the photo below. 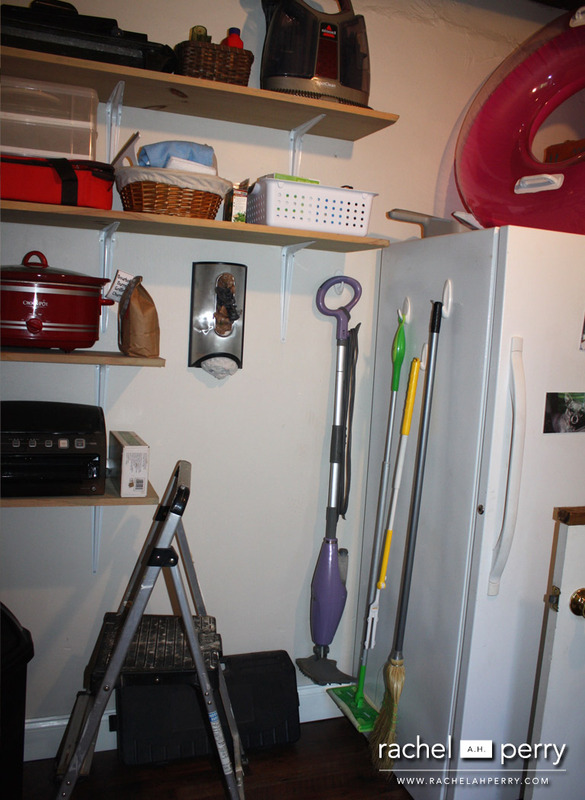 BEFORE: The laundry room when we first moved in. 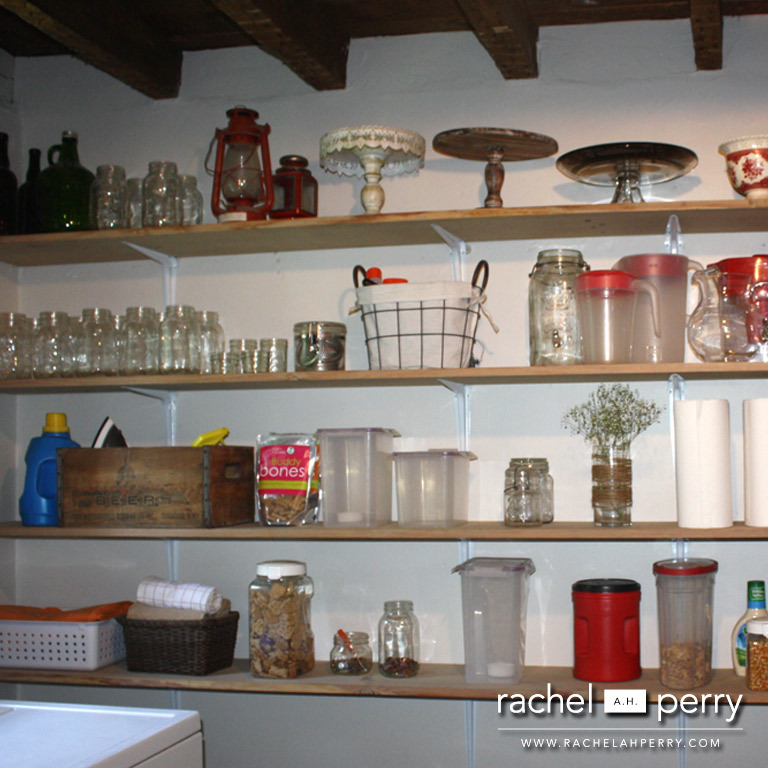 The cabinets provided very little storage because there was only one shelf that was splintering. 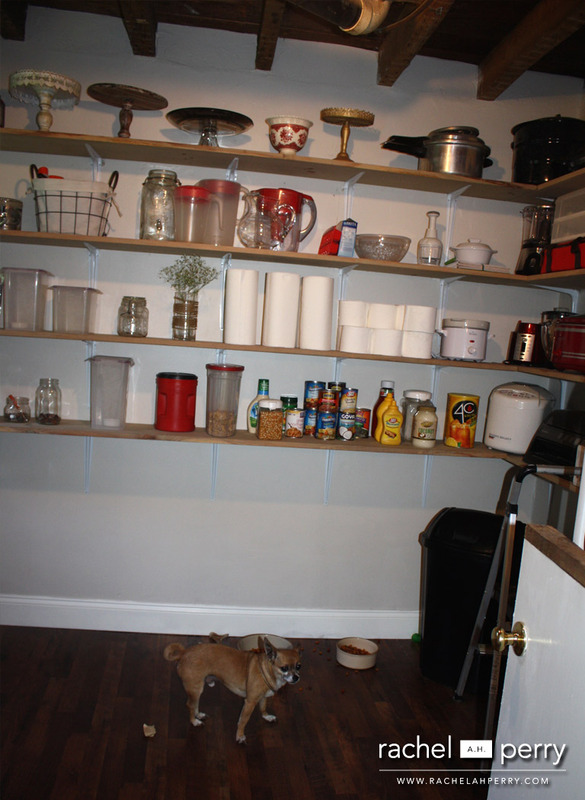 AFTER: We cut the door in half and got rid of the dog crates. Now, the dogs have their own room and I don’t have to look at the ugly cages. I am still in storage heaven! It is so nice to be able to have room for everything. It is so much easier to get the items we need right away with it open. More of the shelfs and Leo made the shot. We removed the drop ceiling to expose the beams like the kitchen. The floors were also replaced with flooring Pergo we got a Home Depot. This is my shelf the is above the washing machine. It was an awesome find at Walmart for $12. 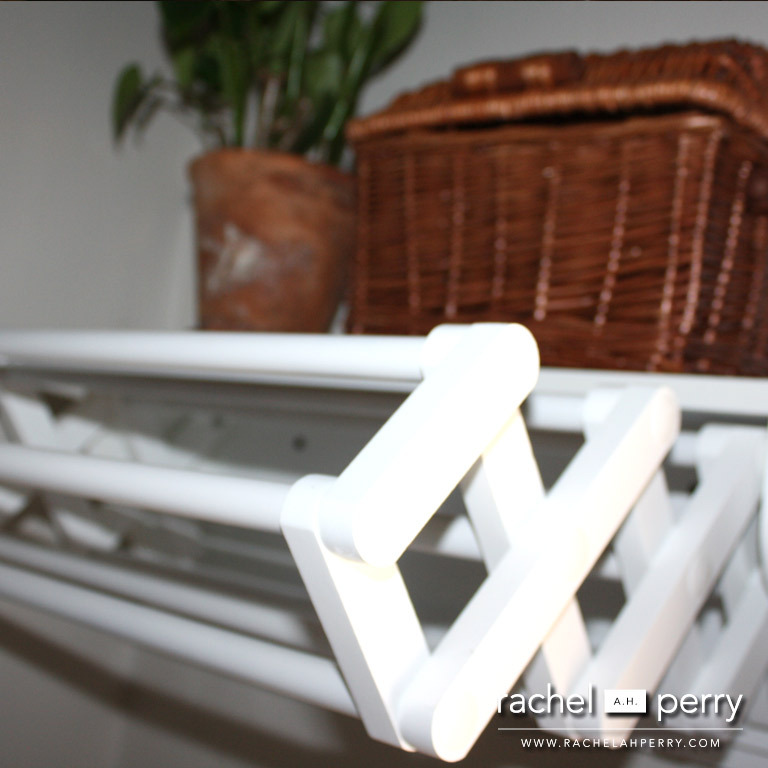 The rack pulls out when you need it but can nicely be folded in when you don’t.